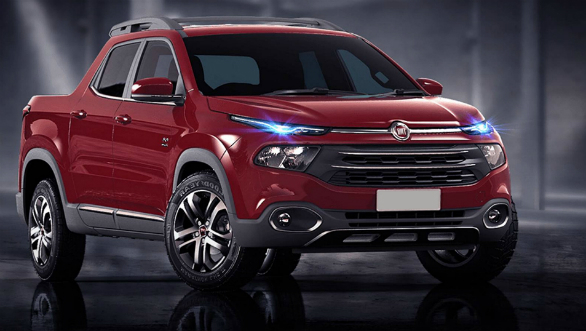 Fiat will unveil a new seven-seater SUV in the Brazilian market during the upcoming Sao Paolo Motor Show. This SUV will be based on the underpinnings of the Jeep Compass but will get design cues from the Fiat Toro pick-up truck. In a teaser video released by Fiat, sketches show the car to have the unique front fascia with the split headlamp setup from the Toro but with the organic surves and swooping lines that are expected of the Italian brand. Interiors will also see a lot of parts sharing with the Compass, including the 8.4-inch Uconnect infotainment system. Engine options for the Fiat Toro SUV will include a 1.8 litre flex fuel and the 2.0 litre Multijet diesel. The 1.8 litre motor makes 161PS/195Nm and 166PS/201Nm with petrol and ethanol respectively. The oil burner is good for 172PS and 350Nm. The flex-fuel engine will be mated to a six-speed auto while the diesel will get a nine-speed ZF auto. Notable features are remote start, the touchscreen navigation system, LED instrument cluster and keyless entry. All features par for the course in this segment. Safety features are seven airbags, ABS, EBD, hill descent control and pressure monitoring system. The Fiat Toro is unlikely to make it to India, given that FCA has chosen to focus on the Jeep brand in the country. A move which makes sound business sense but is a slightly disheartening for enthusiasts. However, the Toro's platform could be the basis for the upcoming seven-seater Jeep SUV that FCA has planned for our market.